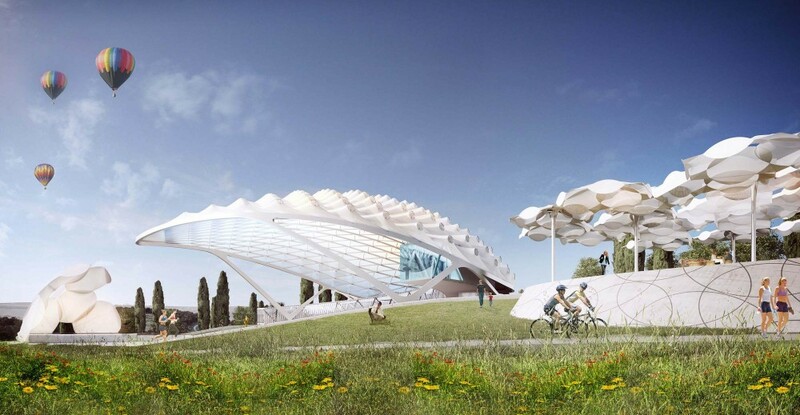 Asymptote Architecture has been commissioned to design a park with a collection of cultural buildings on the outskirts of Peccioli, Italy. 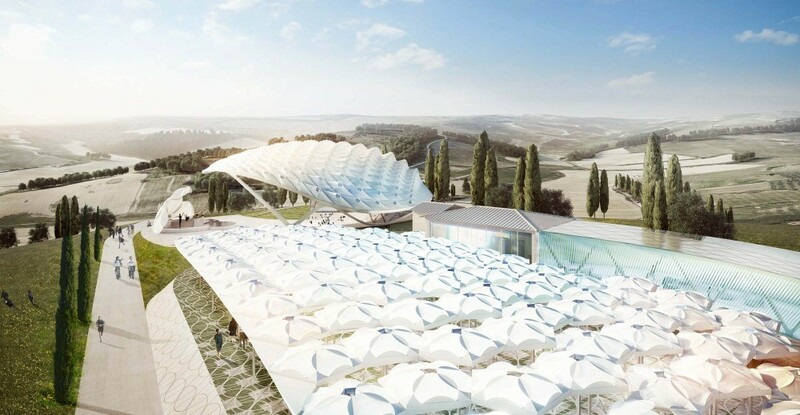 Called the “Parco Degli Angeli,” Italian for Park of Angels, this urbanized complex will be carefully grafted into the picturesque Tuscan countryside to create a dialogue with the surrounding farmland and historical sites. 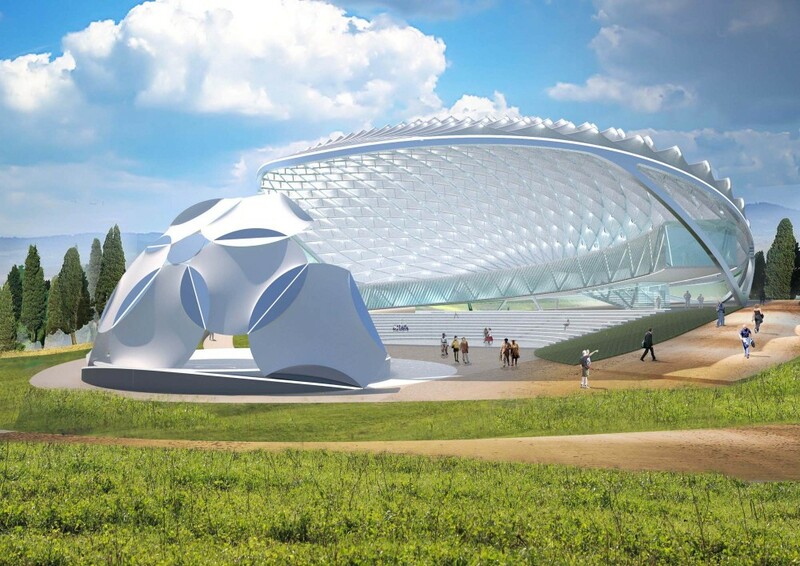 The park will include museums, interactive sculpture installations, and an amphitheater that can host 800 people. A Museum for Etruscan Antiquities, Center for Tuscan Food and Wine Culture, and a Music Instrument Museum will stand alongside a community music center. The landscaping of the park is inspired by the interaction between natural and manmade features in Italian Baroque gardens. Elements from the works of artists Paolo Uccello and Piero della Francesca are also present, “here alluded to through an abstracted and evocative landscape,” according to the architects. 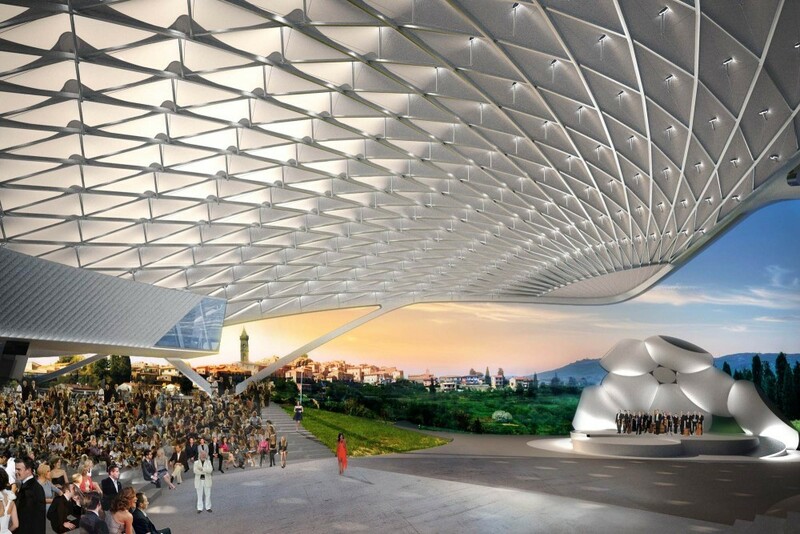 Perhaps the most prevalent element on the site is the large canopy covering the amphitheater. 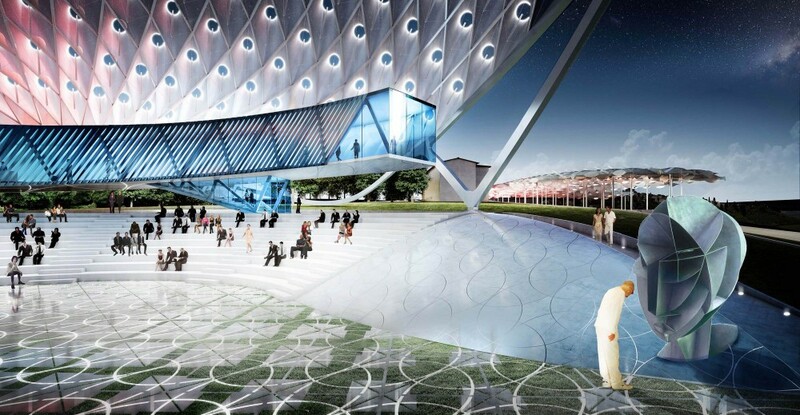 This canopy is a tensile fabric stretched over a metal frame, providing shelter from the elements and harvesting solar energy via embedded photovoltaic units. The canopy shell also incorporates perforations that direct airflow over the fabric, and respond to changes in weather conditions. The result is a highly responsive skin that rises from the site in subtle contrast to the silhouettes of the area’s hill towns.